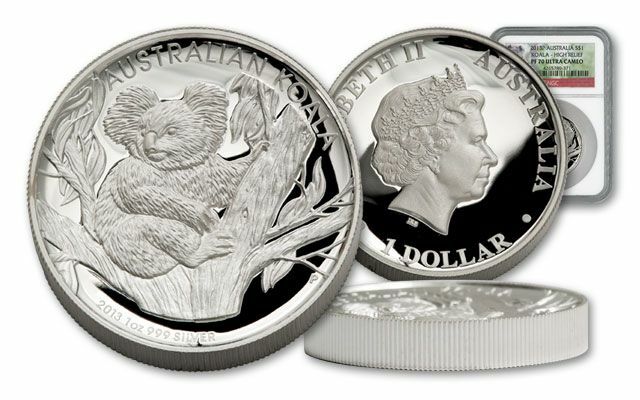 This 2013 Australia Koala Silver Dollar Proof is struck in stunning high relief by the masters of the craft at Australia's Perth Mint. 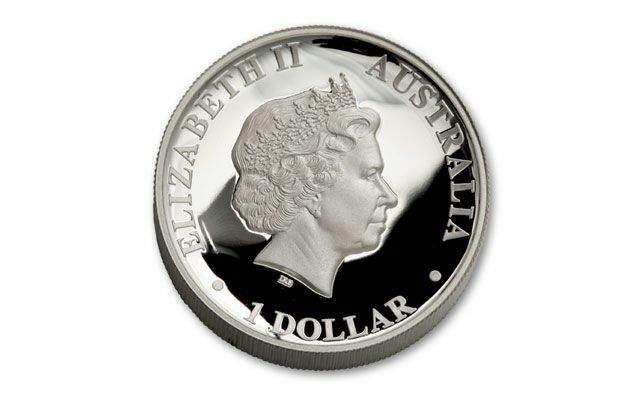 They start out with a one-ounce-of-99.9%-silver planchet that's TWICE AS THICK as an ordinary Silver Dollar. Then, they strike the coin multiple times under many tons of pressure, bringing up the central design that appears like a sculpture rising out of the bowl-shaped coin. You and your friends will be amazed when you hold this proof in your hands. 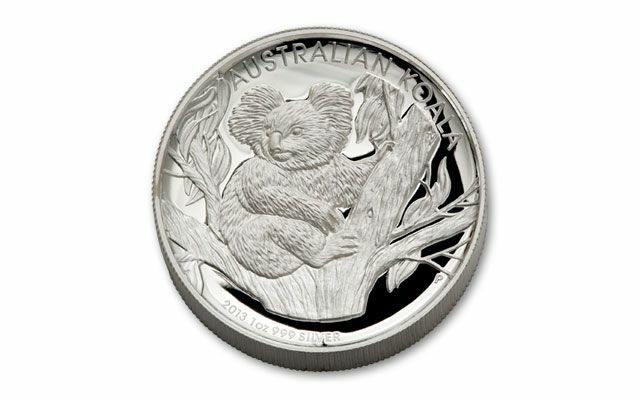 The design features a koala in a gum tree with the silver weight and purity stamped into the surface of the coin. The other side shows a stately portrait of Queen Elizabeth II. Only 10,000 were struck. 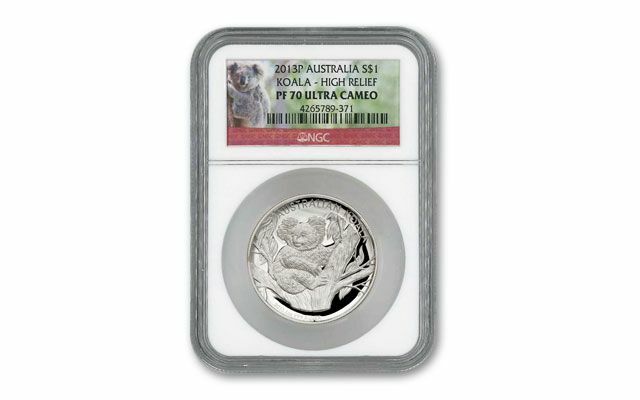 This example grades perfect Proof-70 Ultra Cameo (PF70UC) by Numismatic Guaranty Corporation (NGC). Call now so you won't miss out!